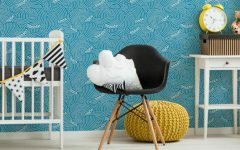 Sparkles, balloons, and games in shimmering sceneries… That’s all you can (and should) expect from the brand-new Spring/Summer 2017 Collection of one the most adorable brands that our editors have met during Maison et Objet 2017. 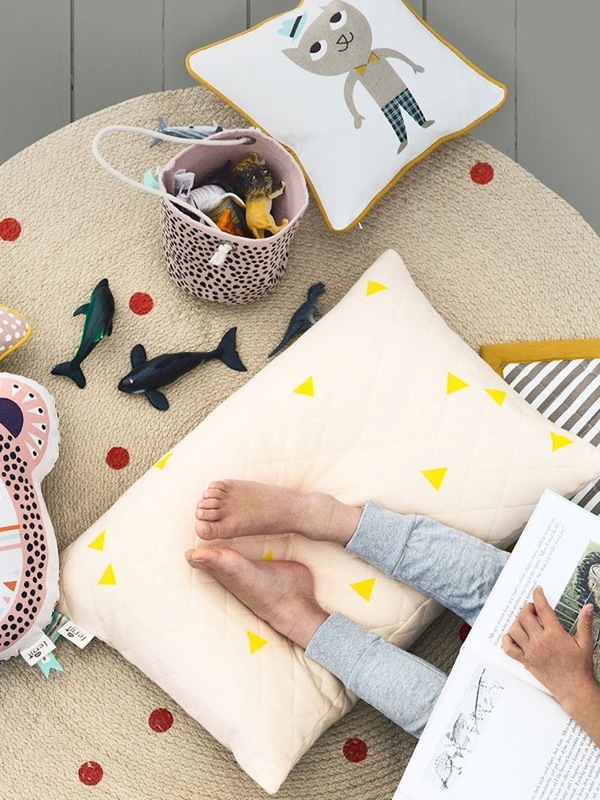 That’s why Kids Bedroom Ideas is about to share you the editor’s pick of Ferm LIVING Kids‘ new collection, a great selection which tells us tales of whimsical parties, playtime by the seaside and magical dreams. 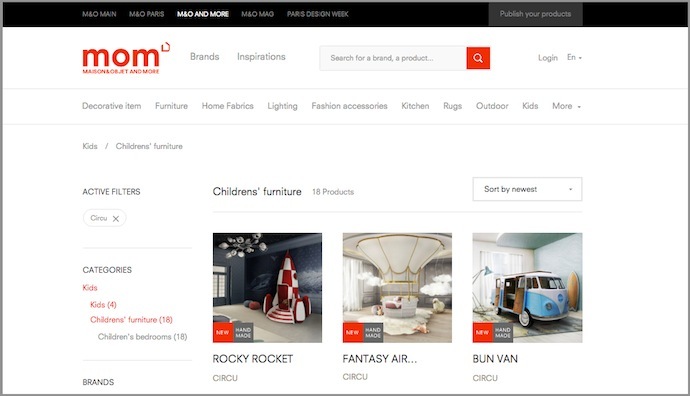 So keep scrolling and prepare to discover “special childish creativity that unfolds when the setting is right“! 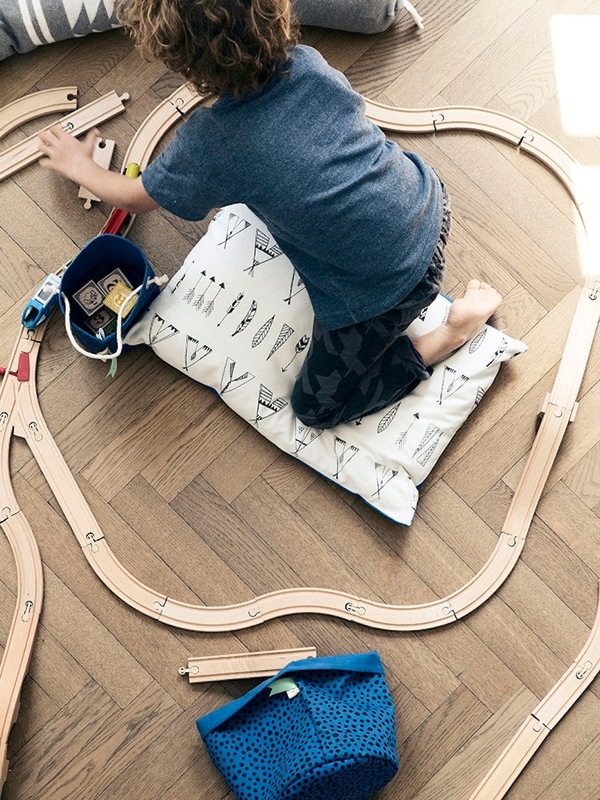 Printed by hand with festive drums, hats, and bows, this playful cushion is filled with plush feather and down. The cover is cut from organic cotton trimmed with a grey-coloured organic jersey back and the brass zipper ensures easy removal for washing. Brighten up mealtimes with this dinnerware set. 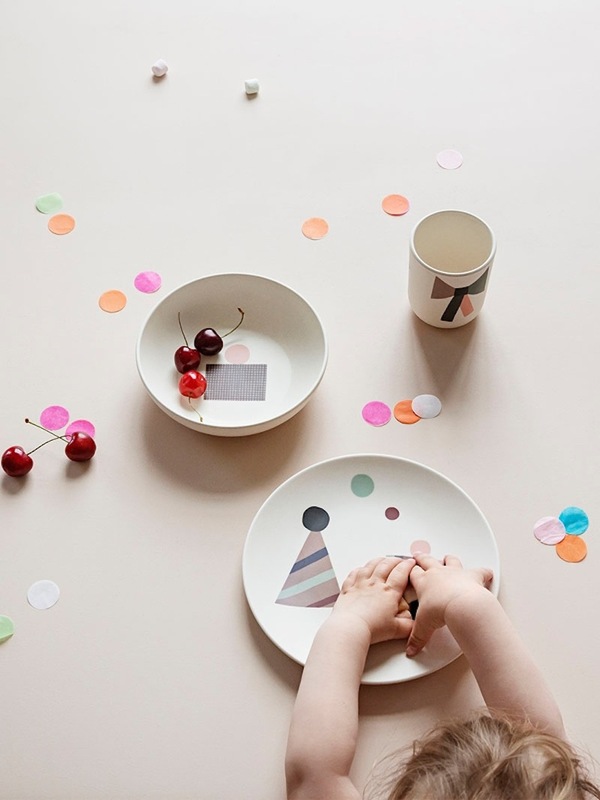 Made from natural bamboo fibers, this set comprises a cup, bowl and plate decorated with Finnish artist Hanna Konola’s playful and graphic drums, bows and party hats. 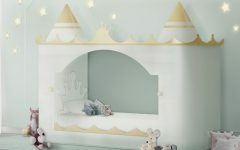 This cloud shaped music mobile is made of 100% organic cotton, mint dots and gently plays Brahms ’Lullaby’. For cleaning wipe with a damp cloth. Mini basket in blue, in 100% organic cotton and printed by hand. Inside non-woven fusing paper. Boost your child’s memory while having fun with this 32-piece memory game, crafted from smooth plywood decorated with Hanna Konola’s delightful motifs. 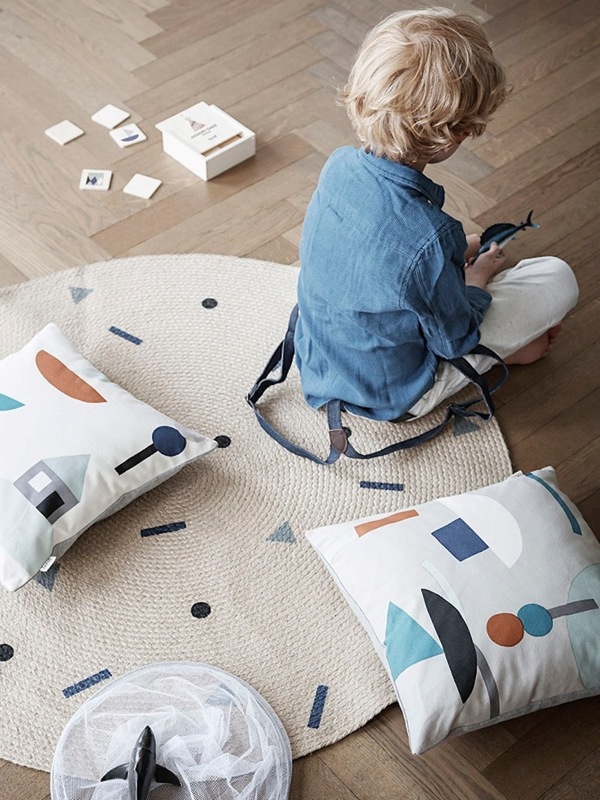 This stylish yet playful kids design will please the eye of both children and their parents. 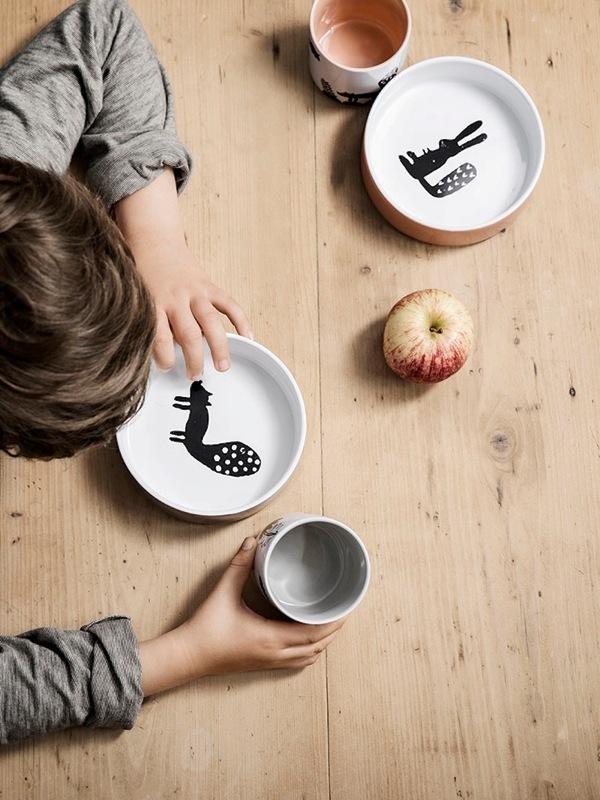 The practical and decorative bowl is made of 100% porcelain and is of course dishwasher safe. 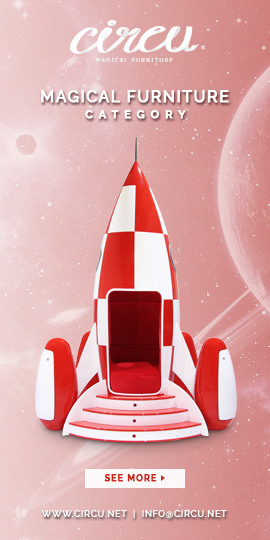 Let children read, play and dream under the soft light of this decorative hot air balloon lamp. 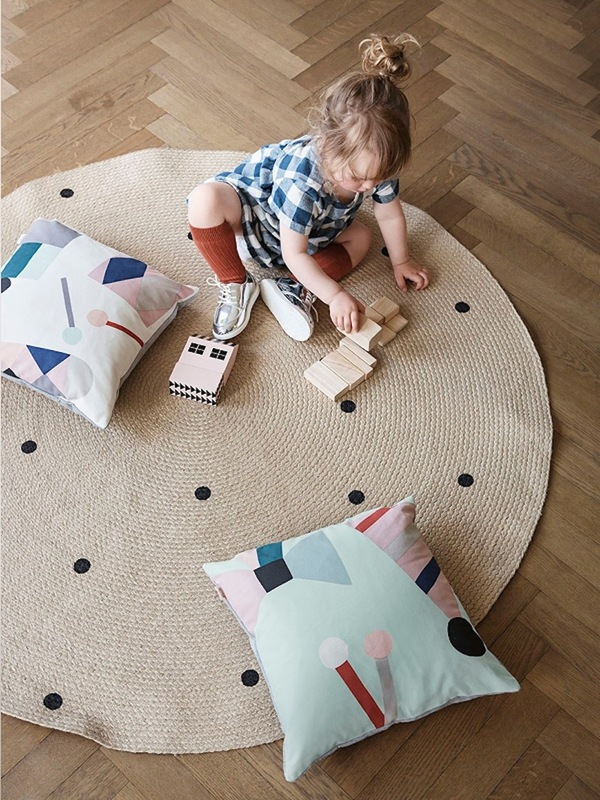 Crafted from oak veneer painted in pretty pastel pink, this laser-cut design is an uplifting addition to every child’s bedroom or playroom. 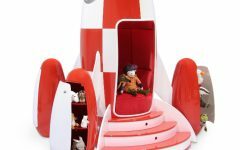 With two levels of living space just waiting to be inhabited with all kids’ favorite little things. 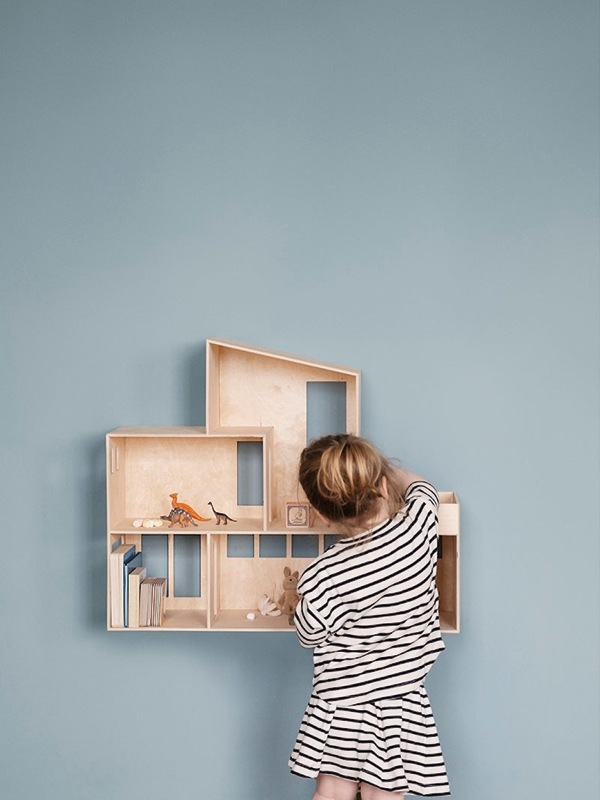 The simple lines and modernist feel of this stylish storage house are sure to be a hit with children and adults alike.